This knowledge hub has a wealth of information to support you throughout your prison or custodial furniture project and help you choose the right furniture for your environment. 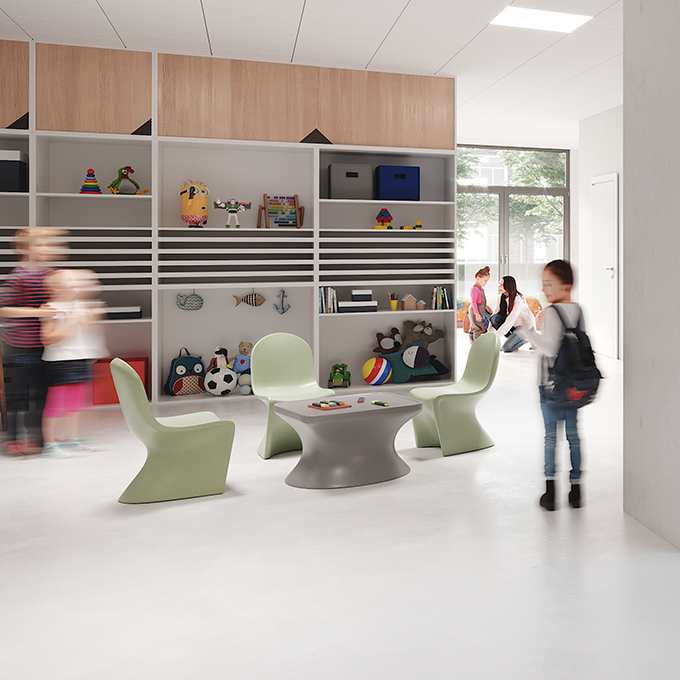 We have worked with a number of custodial facilities over the years and understand the importance of furniture strength, durability and safety features. The Ryno tub chair is the latest addition to our award-winning Ryno range. HMP Humber is a Category ‘C’ Resettlement Prison in the East Riding of Yorkshire. It aims to provide a regime of purposeful activity in order to prepare prisoners for life after release and reduce their risk of reoffending. With a capacity of more than 1000 prisoners, the visits hall needed to safely accommodate a large number of visitors, and be simple to inspect and maintain. Keen to avoid creating a dark environment, the client selected a balanced colour scheme which combined neutral greys with vibrant blue and green accents. Heavily weighted products from our innovative Ryno range occupy the majority of the space, with prisoners seated in the vibrant Lime Green chairs which helps staff to easily monitor the room. The weighting of the Ryno products prevents visitors and prisoners from rearranging the furniture to get closer to one another - presenting a contraband-passing risk by making it more difficult for staff to effectively monitor the room. Adjacent to the main hall, the incentivised “enhanced area” features Ohio Plus chairs in soft upholstery which are also heavily weighted and reinforced. What the customer thought: "We had a real issue with visitors and prisoners rearranging the furniture to get more intimate. The weight and design of the new furniture prevents this."